They appear out of nowhere, cover the shining surface of silver coins with a milky coating and are regarded as spooky ghosts for collectors because they cannot be removed without damage: “Milky spots” are considered an unexplained numismatic mystery, troubling the joy of coin collecting. And in mid March 2017, the phenomenon even caused nationwide media interest in Germany because not a single private person was concerned, but a complete coin exhibition: the coin cabinet of the “Staatliche Kunstsammlungen Dresden” had to be closed overnight. 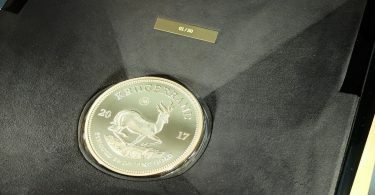 The official reason for the hiatus: “Changes in the surface of the non-preserved silver coins and medals since the end of 2016.” Instead of a naturally grown patina, the rare collectables exhibited a white-milky covering. About 100 coins are affected to date. “The objects were immediately taken out of the showcases and are treated in the restoration workshop”, the “Staatliche Kunstsammlungen Dresden” (Dresden State Art Collections) announces in their official press release. Since then, the experts have been working day and night to remove the deposits. The work is complicated, because the cause is not completely clear and the effort is enormous: about 1,400 objects were taken from the exhibition – many pieces as part of a precaution measure, to prevent them from developing similar changes in the future. The Dresden State Art Collections conducted extensive material analyzes and air measurements in the showcases and even commissioned an external expertise report. The problem: To date, the investigations have not produced a reliable proof of the cause. In the meantime, the specialists of “Saxon Real Estate and Construction Management” (SIB) had also been involved in the investigation of the causes of the disease. The responsible persons gave an “all clear” message nevertheless, right after the hiatus was made public: “It can already be said that the resulting surface changes can be remedied by restoration measures and the state of exhibition can be restored,” says Dr. Stephan Adam, press secretary of the “Staatliche Kunstsammlung Dresden”. Anyone who has been a loyal collector of silver ounces for years is likely to have experienced similar problems. New silver ounces arrive, the anticipation rises – and then: a great disappointment because the splendor of the silver coins is tarnished by small, white spots. A glance into the relevant numismatic web forums shows: the problem is widespread. 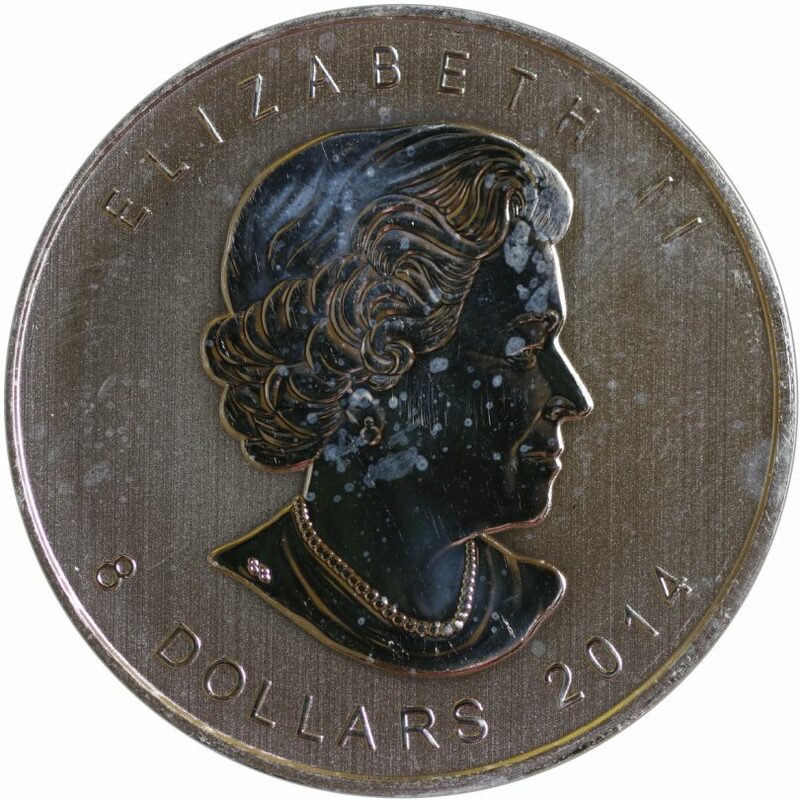 The white spots are a plague that affects customers and traders alike – and there are continuous problems because customers complain about the stains or traders do not buy the stained coins. The cause of the stains has so far not been finally clarified, but it is certain that they do not reduce the value of the coins, at least in the bullion sector. Whitish deposits are widespread, for example in the Wildlife series as well as the Maple Leaf from Canada. In the collector’s scene, the contaminations are referred to as “milk spots”. But still, many bullion distributors buy these pieces normally and sell them again. Milk spots also occur among the “Elephant” coins from Somalia and the “Noah’s Ark” bullions from Armenia. There are many explanations for the “milk spots”. One popular idea: When cleaning the blanks, fine residues of cleaning agents could cause soiling during the stamping process. Collectors have tried to eliminate the stains with all conceivable means: pencil erasers, toothpaste, silver cleaning cloths or citric acid. However, none of the usual household cleaning methods can restore the coin completely –and by many cleaning measures, the coin is even additionally damaged. The “Dresdner Münzkabinett” (Dresden coin cabinet) is located in the “Residenzschloss” since 2015 and has been dubbed “Schatzkammer” (treasure chamber) by locals. Some 3,300 items are exhibited in the former royal dwellings – only one per cent of the total stock of one of the largest and oldest universal coin collections in Europe – at the moment, the Berlin “Münzkabinett” holds the record as the largest coin collection in Germany, with over 500,000 objects. The exhibition in Dresden covers the history of money from the first coins in the 7th century BC to present times. the stamping process. Collectors have tried to eliminate the stains with all conceivable means: pencil erasers, toothpaste, silver cleaning cloths or citric acid. However, none of the usual household cleaning methods can restore the coin completely –and by many cleaning measures, the coin is even additionally damaged. Fact Check: Is Gold scarce?